I am finally getting ready to restore a unique Cave Optical 12.75” with quartz primary custom made for author and amateur astronomer Dr Henry E Paul. Dr Paul drew up a rough plan of the scope he wanted Thomas Cave to build and Cave seems to have put everything into the project producing one of the finest mirrors of his career. As part of the restoration I am interested in learning more about both Dr Paul and Niles Root who purchased the scope from Dr Paul. What I know so far is that the scope went to the head optician of Mt. Wilson/Palomar for testing, then to Dr Paul. Dr Paul sold the scope to Nile’s Root who used it until age interfered with operating the large scope. 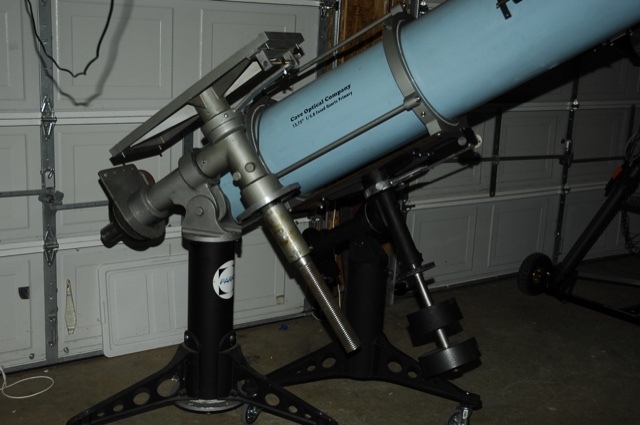 The scope was subsequently owned by noted amateur Ron Pastory, then a few other well known amateur astronomers before coming to me. Dr Paul was born in 1908 in Los Angeles, CA; earned his bachelors in engineering from Oklahoma, A&M, then his doctorate in nutritional biochemistry from Cornell University in 1938. He and his wife Mary, who earned her Ph.D from Cornell and went on to be an accomplished nutrition researcher, lived in Norwich, NY. Dr Henry Paul was a member of the Rochester Academic Society and an honorary member of the Catskill Astronomical Society. Dr Henry Paul authored three popular books on amateur astronomy: Outer Space Photography for the Amateur; Telescopes for Sky Gazing; and Binoculars and All-Purpose Telescopes. He also wrote numerous articles on the topics of optics, observing and astro photography. He passed away on December 13, 1976 followed by his wife Mary roughly a month later. I am hoping some of you have information or leads that will help me put together a more complete history of Dr Paul and his Cave scope. Thank you in advance! Edited by ltha, 09 May 2018 - 01:09 PM. I cut my astronomical teeth on Dr Paul's books. Very interesting man. And a very interesting story about that scope it seems ! He and Patrick Moore loom large in legends. Is this now your scope, or are you restoring it for another owner / purpose? It is mine and I am just getting back to the scope after having it, actually the various components, stored away. The scope was sitting in my garage in Sunset Beach, CA for years as I had no room to work on it. Once I bought the place up here I brought the parts up, but was still down south most of the time. I finally found the perfect person to fabricate an adapter plate to allow attaching the rotating ring assembly to couple to an original Schaefer mount I am using. It has been a slow start. There is a previous thread i started om CN with a few images and drawings. Edited by ltha, 10 May 2018 - 08:45 AM. I was a member of the Rochester Academy of Science Astronomy Section in the early 70s (I was an early teen at the time). There are two people who I can think of who may be able to give you some information on Dr. Paul. Another person who may be able to help you is another member of the club when I was a member, Rick Albrecht. Rick was certainly younger than George, Ralph, and Dr. Paul, but was very active with the club in the early 70s. Rick also helped JW (Bomber Bob) with some info regarding a Ralph Dakin scope he acquired. I was in touch with Rick earlier this year. He's a good guy, and if he knew Dr. Paul, I'm sure he'd be willing to help. I'm not sure how long Dr. Paul stayed active in the RAS (now ASRAS) Astronomy Section, but I'd bet well into the 70s, given some of the members of the group, especially George and Ralph. Edited by Geo31, 09 May 2018 - 09:46 AM. Thank you for the leads, much appreciated! I will try contacting both of the men you mentioned and see what they can recall of Dr Paul. Wow, great history having the drawing. It appears from the drawing he spec'd a 2.5" observatory model mount. The pier is quite unique. It would be really cool if you could find one of these mounts and have the base recreated. Another person who may have leads is DavidG. 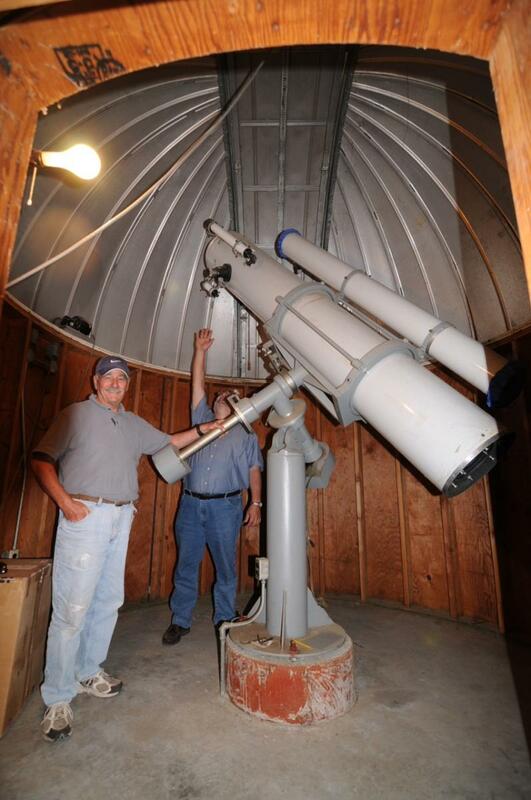 He is a member of the Springfield Telescope Makers (owners of Stellafane). I'm pretty certain Dr. Paul was a regular at Stellafane as well, so some of his contacts may have first-hand knowledge and memory of Dr. Paul. You might find this interesting! Dave posts here now and then. OMG! Looking at the drawing again, I wonder if the mount was the one Chas had? It has that strange sleeve and threaded CW shaft. Very possible. Edited by highfnum, 09 May 2018 - 04:30 PM. I’m pretty convinced that the mount Chas had was Dr. Paul’s mount. Here is Chas’ thread. Look at the last photo. Even has the rotated drive housing. Here is the new owner’s thread. Other than the pier (and now a Byers drive), it sure looks just like the drawing. Thank you so much for that YouTube link. Subscribed to that channel immediately. If it was then it was sure balanced for a diff scope than the one's i had on that mount. I never could get anything to balance in Dec. The guy that bought it had to add another 30+lbs of weight to the 12.5" scope he put on it. I had the chance to buy the original mount, but it was on the other side of the country and at the time I had just purchased this scope and figured I would simply use what I already owned. In retrospect I almost wish I had purchased it! Yes that is it. I used to own both the mount and Dr. Paul's scope. One scope I should have kept. Edited by ltha, 09 May 2018 - 10:41 PM. Just get it going cause I'm coming to visit after the transplant I hope the 16"f/18 Royce is operational as well. I am looking forward to it my friend! This picture shows the scope and original mount - minus the “S” curved pier specified by Dr Paul - at the time I purchased it. Two previous owners have told me they were crazy to let it go. I have yet to look through the scope, the mirror has been packed safely away since I bought it. But Rolo did set the scope up (he sent me this picture) and was able to get an idea what the scope could do. Rather than paraphrase what he told me, I will let him comment if he wants. The mirror, an odd size, 12 3/4” rather than the standard 12.5”, was tested by one of the top mirror makers in the country, and IMHO the world, and was found to be 1/15th wave, .974 Strehl with all of the thermal advantages of quartz. Tom Cave had the mirror null tested by Floyd E. Day, the head of the optical department for Carnegie Institution, Mt Wilson Observatory (I will a copy of post the letter from January, 1968 later). Needless to say, it passed with flying colors. Edited by ltha, 10 May 2018 - 08:01 AM. NOTE: Ron moved back to Iowa - if anyone is currently in contact with him, please forward this thread along to him. He would be a huge asset to this discussion. ”I do have copies of a couple of letters between Tom Cave and Dr Henry Paul, including a graph paper version of the original tests results from Mt Wilson labs. 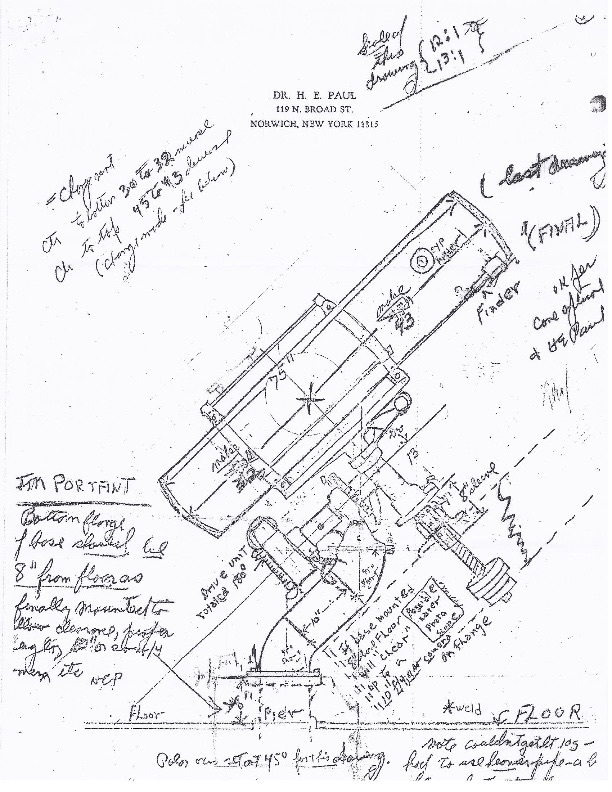 Also I have a copy of the original drawing Dr Paul made as to the scopes construction/configuration, and a email from Abby Paul (wife) when I contacted her for info about the scope. I will see if the old scanner works, and if I can't scan them I will send you copies. The quartz mirror was Tom Cave's pride and joy. I gather he was quite proud of the scope, plus at that time Dr Paul was part of the original good old boy club.....they all knew one another. 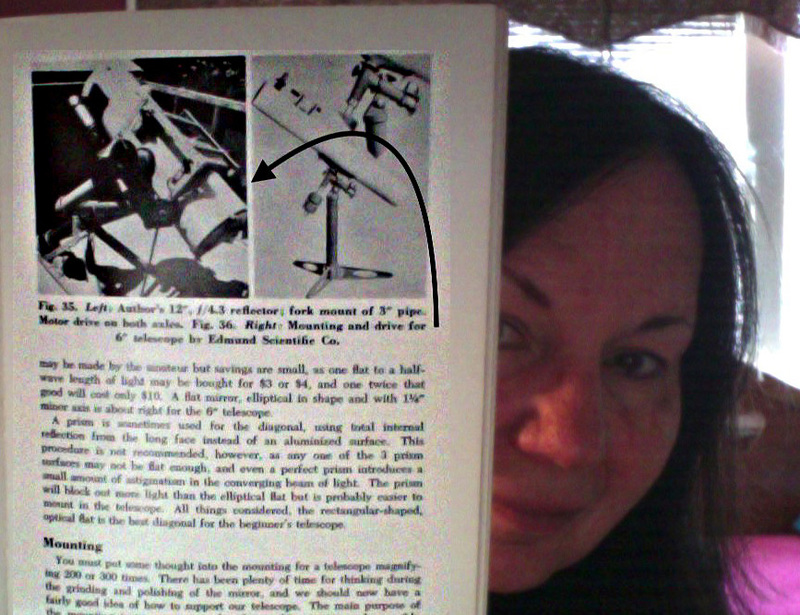 If you can find a copy of Dr Paul's book "Telescopes for Stargazing" you will find a picture of the original scope on page 130. Niles Root bought the scope and used it for years before I found it in a barn, after Niles had passed on. I agree about the Cave you presently have. I do not like to break up a old set. So curiosity is killing me. Where are you going to put these scopes? That Cave of yours is a beast, a good beast. Looks like pretty close to original and that's great!! The price is excellent especially if the he has the original eyepieces and documents. 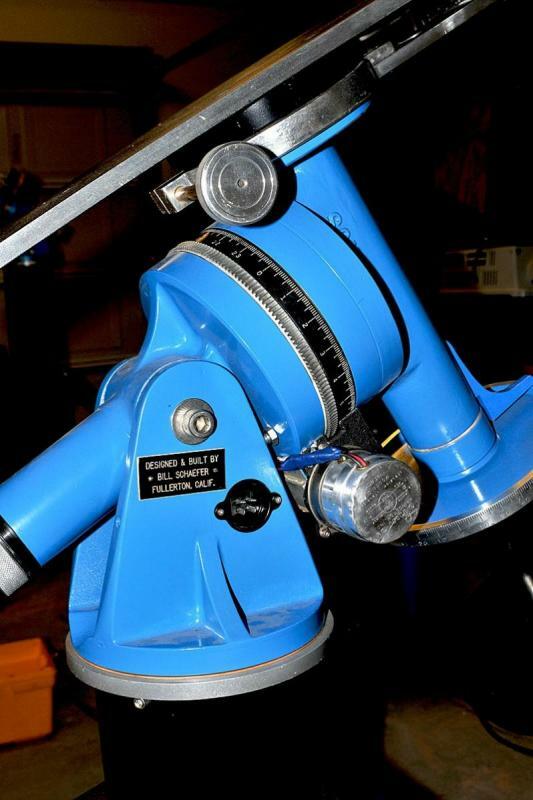 What a deal...drool.........I love those old big observatory mounts. They handle sooo much weight. Just an FYI, the 450 lb weight he is estimating is off. The mount itself weighs about 250+ not including the weights. I wonder what ever happened to Geo. Keene's really cool 12" F4.3 on that neat ATM pipe fork mount?